Orange County – A book titled Oh, the Places You’ll Boldly Go!, a mashup of Star Trek and Dr. Seuss, created a copyright legal dispute which recently came to a conclusion. Dr. Seuss Enterprises filed a copyright and trademark infringement lawsuit but has now lost on summary judgment. ComicMix, the creator of the book, prevailed on trademark claims related to the book a year ago. At that time, U.S. District Judge Janis Sammartino concluded that the book wasn’t explicitly misleading about any connection to the company that owns Dr. Seuss rights. Now on summary judgment for copyright claims the judge decided that Oh, the Places You’ll Boldly Go! makes fair use of copyrights owned by Dr. Seuss Enterprises. The dispute centered around the use of computer code, a promotional poster, and viral videos. 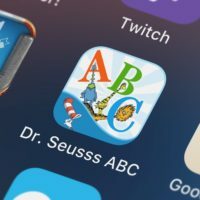 Dr. Seuss Enterprises focused on the Federal Circuit’s 2018 decision in Oracle America, Inc. v. Google, a case that references copyrighted Java API code. The debate in that case was whether Google infringes when it makes its own version of the Java API code intended to enable software programs to communicate. The connection between these cases comes from the similarities between what Google did with Java and the purpose and character of Oh, the Places You’ll Boldly Go! The judge, however, identified critical differences between these two cases, deciding that the similarities were not enough to sway the court in the plaintiff’s favor. Although there are similarities, Oh, the Places You’ll Boldly Go! does not use illustrations or text from Oh, the Places You’ll Go! verbatim. Although it was acknowledged that ComicMix borrowed some aspects from Go! the content was adapted or transformed substantially, thus bringing it within a fair use defense. The use of creative elements captures just one factor in the fair use analysis. Perhaps the most similar case to this situation appeared when photographer Annie Leibovitz took on Paramount Pictures due to a portrait used as a promotional poster containing similar artistic elements. In this instance, it was judged that Paramount Pictures had taken enough artistic components from the Leibovitz’s original photo to weigh against fair use. The court in the Dr. Seuss case also addressed the market effect of the use of copyrights. Judge Sammartino asked Dr. Seuss Enterprises to provide evidence as to how Boldly will negatively impact the market for its iconic book. After evaluating the plaintiff’s case in this matter, it was decided that it isn’t likely that ComicMix will steal its predecessor’s position in the children’s book market. The judge noted that no evidence showed that Dr. Seuss will be missing any licensing opportunities or revenues as a result of the publication of Oh, the Places You’ll Boldly Go! The judge closed by stating that ComicMix took no more than what was necessary for their purposes and found the mash-up highly creative.